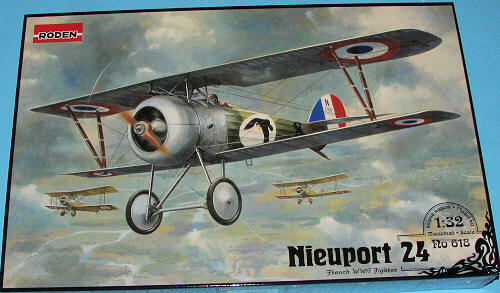 This is Roden's second boxing of the 1/32 Nieuport 24 and this time it is the earlier version. As you have heard before, many modelers find this scale to be perfect for the small and basic aircraft that flew during WWI and I have to agree with them. You get a goodly amount of detail without delving into the major 'fiddly bits' genre. As with all newer Roden kits, the molding is superb. Like many Roden kits, you also get bits that are not used with this variant. You get fill cockpit detailing, including a seat whose backing piece you bend around the seat bottom. Sidewall detail is included as well for this as well as all the proper controls and levers. You get a multi-piece rotary engine with separate cylinder heads. In fact, you get variations of the engine hub on which the prop is attached. The two piece cowling is also well detailed. You are provided with three propellers, but no indication as to which is used with which markings option so the choice is yours. Instructions are typical of what we have come to expect from Roden. The construction drawings are superbly done and we are provided with both Model Master and generic color references. Roden also provides a nicely done rigging guide. This appears to be one of the simpler rigging jobs around, making this kit a natural for a first time or hesitant biplane builder. The large and colorful decal sheet provides markings for four aircraft. Nieuport 24, No N3987 flown by Sous-Lieutenant William Herisson, an 11-victory ace of Escadrille N. 75 Aviation Militaire, 1917. Nieuport 24, No N3961, (pilot unknown), Escadrille N.91 Aviation Militaire, 1917. Nieuport 24 , no 4408, flown by Lieutenant Miodrag Tomych, Escadrille N. 523 Aviation Militaire, Wertecop airfield, Serbia, September 1917. Nieuport 24,(serial and pilot unknown), Escadrille N. 89 Aviation Militaire, 1917. The decal sheet is superbly printed, though I have to confess that many have difficulty getting the decals to conform over irregularities, even with setting solutions. 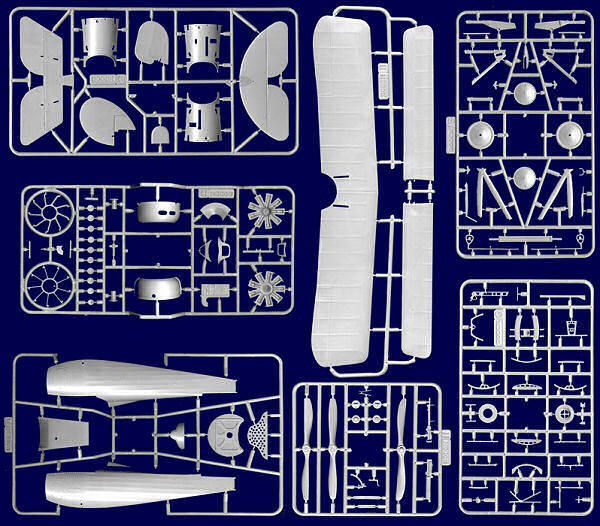 A very nice addition to Roden's 1/32 WWI line-up of kits and a plane that never really got a lot of press. I think you'll like it. Thanks to Squadron Products for the preview kit. Get yours at your favorite retailer or have them order it for you.